Professional choral art in Ukraine spans more than a thousand years. Its origins reach back to the end of the tenth century, the period when Grand Prince of Kyiv, Volodymyr the Great commanded the baptism of Ukraine (988). Its outstanding achievements are many: ascetic medieval monody; a magnificent Baroque polychoral style; unique Classical choral concertos; elegant Romantic miniatures; arrangements of folk songs; cantatas, oratorios and operas; and modern contemporary compositions. These achievements worthily adorn the most significant pages of world music history. Choral music has a special significance for Ukrainian national culture. The features typical of a national music style were formed in its choral music. In the most fundamental way, choral music embodies Ukrainian national mentality, and the soul of the people. Ukrainian choral music and its outstanding achievements are, however, not yet well known to many in the world. This is because Ukraine did not have its own state for centuries. It was in the shadow of other states and empires. Its artists often worked on the territories of foreign cultures and their achievements, in the absence of Ukrainian statehood, were attributed to other nations. During various periods from the Middle Ages to modern times, the territories of Ukraine (Kyiv region, Chernihiv-Sivershchyna, Volhynia, Podillia, Halychyna, Slobodivshchyna, Bukovyna, Transcarpathia, Novorosia, and Crimea), were part of the Grand Duchy of Lithuania, the Polish-Lithuanian Commonwealth, the Austrian Monarchy, Transylvania, Moldova, Hungary, the Crimean Khanate, Poland, Romania, and the Ottoman, Russian, Austro-Hungarian and Soviet empires. Ukraine became a truly independent state only in 1991 after the collapse of the Soviet Union. 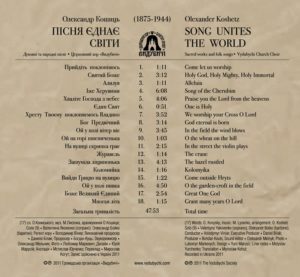 It was then that Ukrainian choral culture finally came out of its imperial shadows, and in full voice declared to the world its originality, uniqueness and accomplishments, and its achievements, distinctiveness and self-identification. Because it experienced during different periods the significant influence of Byzantine and Western traditions, the historical fate of Ukrainian people and their culture, especially in choral art, was to become a mediator initially between Byzantium and Western Europe on one side, and in time, Europe and Russia, on the other. Notwithstanding this intermediary role between South and North, and East and West, for centuries Ukrainian culture and choral art maintained their individuality and originality. We examine five periods of Ukrainian choral music, focusing on its artistic dimensions. The Medieval era lasted in Ukrainian culture for more than six hundred years, from the end of the tenth to the beginning of the seventeenth century. In cultural terminology it is called ‘theocentric’. In professional Ukrainian choral music it was represented by the znamenny chant. This singing is oriented to the ideals of ‘theocentrism’ and is associated with the Christian Church. It features no lush polyphony or colourful harmonic sequences, no stunning virtuoso solos or high notes called upon to demonstrate the power of the voice and range of the singer. There is no dynamic counter-positioning for dramatic effect. The dynamics are soft, subdued and modest. Everything is focused on the austere, not aimed at creating external impressions but on achieving a profound understanding of essence. This is Ukrainian church monody, a national tradition that has reached our times from the depths of ages. Its echo still rings today in monastery chants and in the customary chants of Ukrainian churches. What is monody? It is unison, mostly male singing. The oldest Christian hymns of Byzantium and Rome, e.g., the Gregorian chant, are monodic compositions. The introduction of Christianity to the territory of modern Ukraine, Kyivan Rus’, necessitated the introduction of appropriate ritual, an integral part of which was choral music. By accepting Eastern Rite Christianity from Byzantium, Ukrainian culture joined the most advanced and perfected musical tradition of the era: Byzantine church music, with its rituals, hymnography texts and genres, as well as its systemisation of melodic chants according to the Church calendar and own method of notation. However, acceptance of Byzantine choral culture in the Kyiv metropolis was followed by its significant transformation for two reasons: first, as a consequence of translating Greek texts of into Old Church Slavonic used in Ukrainian churches; and secondly, as a consequence of contact with the intonational experience of Ukrainians. In monodic chants of the Christian church the Word is of greatest significance. The Word is associated with the Holy Spirit and breathing. It determines the length of melodic phrases, their profile, scope and range. Accordingly, changing the Word from Greek to Old Church Slavonic led to changes in the intonational character of Byzantine hymns on Ukrainian soil. One cannot ignore the musical experience of Medieval Ukrainians. Monodic chants borrowed from Byzantium were performed by local singers educated in the melos of their native folk melodies. Hence, Greek texts translated into Old Church Slavonic performed by Ukrainian singers gained new features. They became more restrained yet at the same time more lyrical. They lost their Eastern ornamentation and became an embodiment of a deep, strong faith. Significant changes to the Byzantine source were also made possible by the particular way written symbols were used to represent how monodies were sung. Transcription of musical sounds was accomplished by special signs, znameny (hence the term znamennyi chant), unison liturgical singing where one syllable sounds over several different notes in succession. 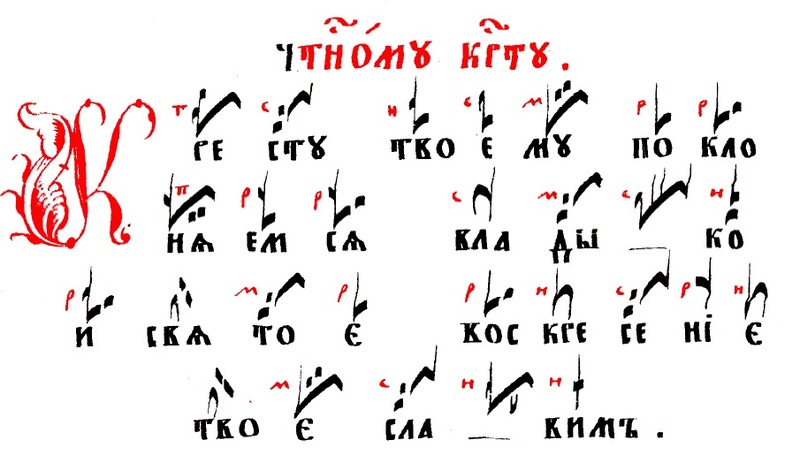 The Kyiv znamenny notation was similar to the old Byzantine neumatic notation used during the tenth to thirteenth centuries to transcribe church monody in Byzantium. Neumes, and correspondingly znameny, were special characters that served as a mnemonic device. They did not indicate the absolute pitch or rhythm of melodies. They only reminded singers of melodies known from practice and learned by ear, melodies absorbed by singers with their mother’s milk and from childhood while taking part in church liturgies. In this transfer of an oral tradition lacking pitch or rhythmic fixation – even in a canonical form of artistry – Byzantine monody acquired specifically Ukrainian features and was transformed into a unique, national artistic phenomenon, the Old Kyiv znamennyi chant. One of the striking pieces of evidence of the national character of the znamennyi chant is the subject of church hymns chanted in the early Middle Ages in Ukraine. Among the approximately fifty manuscripts from the eleventh to thirteenth centuries with notational transcriptions preserved to our time, in addition to Byzantine church hymnography are hymns dedicated to Kyiv saints: the Princes Boris and Hlib, Prince Volodymyr and the Ihumen of the Kyiv-Pechersk Cave Monastery, Feodosii Pecherskyi. Borrowed from Byzantium and adapted Ukrainian needs, znamennyi chant spread beyond the borders of Ukraine. The znamennyi chant of the early medieval period has not been fully deciphered to date. We can only imagine its sound, relying on examples of Ukrainian church monodic singing from the late medieval period (sixteenth to early seventeenth century) as deciphered by scholars of medieval music. Towards the end of this period, Ukrainian church music notation was reformed, a reform that enabled the deciphering of znamennyi chants. The znameny notation used to mnemonically refer to particular chants was replaced by Kyiv square note notation. This notation took into account Western European developments: the nota quadrata, the five-line transcription system that designates pitch, and a mensural notation, individual note shapes to denote temporal durations. These developments were combined with national experience. Introduction of the Kyiv square note notation was a turning point for monodic singing. Now every note clearly fixed the pitch and duration of a sound, so every musically literate singer could sing a specified melody. A clear sign of the rapid development of late medieval monody, and thereafter of choral art in Ukraine is found in regional traditions associated with various monasteries and localities. In manuscripts of this period, melodic variations of specific chants are often indicated by their regional source: Kyivan, Pecherskyi, Mezhyhirskyi (Kyiv region), Ostrohskyi, Volynskyi (Volhynia), Lvivskyi, Pidhoretskyi (Halychyna), and others. 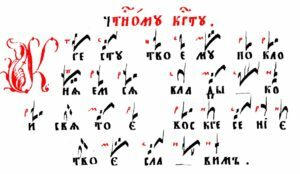 There are nearly one thousand extant examples of Irmoloi texts of Ukrainian origin (introductory hymns on canonical texts chanted at various services during the year). These examples attest to the high level of development of choral art in Ukraine in the Middle Ages. This period laid a solid foundation for the Ukrainian national choral culture, which found its brilliant development in the Baroque period. Unlike Western Europe, Ukrainian choral culture made a transition directly from the medieval to the Baroque style. It passed over the Renaissance style of music altogether. The Baroque period in music history opened an ‘anthropocentric’ era. Man became the central fact of the universe. Compared to the Middle Ages, everything changed in the choral music of Ukraine. The medieval soulful melos based on the concept of ‘Word-soul-breath’ gave way to affect, to passions and emotions. The restrained ascetic sound changed to bright dynamics with contrasts in timbre and texture. The monody of unison male voices was replaced by magnificent polyphony. Eight, twelve, sixteen, and even twenty-four voice parts were not uncommon for choral music in this period. The addressee of the singing changed. The music was addressed not so much to God, the aim of medieval monody, as to Man, who was to be excited, impressed, captivated by the music. These features of Baroque music were particularly relevant to Ukrainian seventeenth century culture. Hierarchs of the Ukrainian Orthodox Church faced the need to reform the liturgical rite to make it relevant to the secularization underway in order successfully to compete with Catholic expansion. Orthodox tradition does not permit the use of musical instruments in church services. Catholic tradition does so to support worship, the organ being a good example. The use of instruments in Catholic services introduced elements of secularity and the emergence of concert practice. Unable to use musical instruments, Orthodox priests turned to polychoral music in the first half of the sixteenth century. This innovation, in which choirs were divided into groups singing individually, alternately or together, is attributed to the musical director of the Padua Cathedral, Ruffino Bartolucci. The style was perfected by the Venetian composers Andrea Gabrieli and his more famous nephew Giovanni, and was exploited by many composers of the period: the Italians Girolamo Giacobbi, Ludovico Viadana; the Germans Hans Leo Hassler, Michael Praetorius, Samuel Scheidt, Heinrich Schütz; and the Poles Marcin Mielczewski and Jacek Różycki. The new polychoral culture became known as the partesnyi style Ukraine, ‘singing in parts’. A large body of manuscripts in this style has survived to date. Kyiv collections presently include over six hundred polychoral-partesnyi compositions. The catalogue of the Lviv Brotherhood includes 372 such works. And many compositions in this style are found in music libraries outside of Ukraine. Polychoral compositions, e.g., motets and choral concertos, were musically written using Kyiv square note notation. Unlike the anonymous medieval monody, they evidenced authorship, despite a great proportion of them being anonymous. Ukrainian composers in this style include Mykola Dyletsky, Simeon Pekalytsky, Ivan Domaratsky, Herman Levitsky, Havalevych, Koliadchyna, Davydovych, Theodosius the Luminous, and others. The most famous Ukrainian composer of the Baroque period was Mykola Dyletsky of Kyiv (c. 1630 – after 1680). He received an excellent education from the Jesuit academy in Vilnius. His numerous works include a liturgy for four voices, and two eight-voice liturgies; four and eight voice polychoral concertos: Come, people, Thy Image we Praise, Profess, Praise, He entered the Church, the communion hymn Body of Christ, and the monumental, multi-part polychoral composition Resurrection Canon. In addition to being a consummate composer in the polychoral style that demonstrates his phenomenal talent and European level of musical education, Dyletsky was a prominent musical theorist. He was the author of the first theoretical music treatise in Eastern Europe, entitled Musical Grammar, which exists in several edited versions and languages. Many music experts view this as the most valuable theoretical work appearing in Europe between the works of Salinas (sixteenth century) and Rameau (eighteenth century). Dyletsky’s Musical Grammar generalized extensive practical experience with the new polychoral partesnyi style, laid the foundations of his aesthetics, rhetoric, musical composition (in particular, the imitative polyphonic technique), and offered practical advice to both singers and composers. 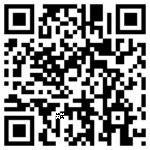 Information on other Ukrainian polychoral composers is extremely fragmentary. For example, we know very little of Simeon Pekalytsky: his approximate year of birth (1630); his studies in Kyiv, Lviv, and either Ostroh or Lutsk; service in the choir of Chernihiv Archbishop Lazarus Baranovych; and position of Choir Director in Lviv and Moscow. His Liturgy and the polychoral concerto Your Gracious Spirit have been found. Old catalogues refer to other works of his (Liturgy for eight voices). 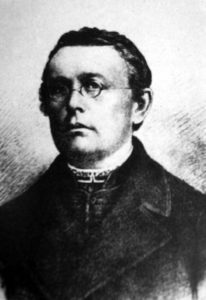 Biographical information on other major Ukrainian polychoral composers like Ivan Domaratsky and Herman Levytsky has not been found to date. Nevertheless, scores of their polychoral concertos have been discovered in the autograph manuscript archives of the Saint Sophia Cathedral in Kyiv. Their deciphering is presently underway. The last third of the eighteenth to the beginning of the nineteenth century introduced characteristics of Western Classical music into Ukrainian choral music. The magnificent, multi-voice style of the Baroque polychoral concerto gave way to the strict four voice polyphony of the Classical choral concerto. The suite form, with its mosaic features, now built on alternating ensembles of soli and tutti, and compositions became structured in three and four sections. The Baroque style of rhetorical figures and typical emotional affects gave way to motivated composition that made it possible to produce more subtle emotional gradations. Generalized musical thematic structure was replaced by brilliant individualization. Music writing for choral compositions also changed. Instead of referring to established collections of part-books, scores were now authored by composers. The orientation to the best of European musical culture in Ukraine remained unchanged. For example, choral motets based on the psalms sung a cappella were highly regarded, as cultivated in the Venetian and Bologna Schools (L. Leo, J. Hasse, N. Jommelli, A. Saccini, P. Guglielmi, and T. Traetta). Mastery of the Italian experience was combined with the flowing melodic line of Ukrainian folk songs and these pieces were performed strictly a cappella. Despite many secular influences of the period, the locus of choral works in Ukraine remained the Orthodox Church. The creativity of Berezovsky generated the genre of the Ukrainian choral concerto. He was born in 1745 in Hlukhiv, then capital of the Ukrainian Hetmanate and Left-bank Ukraine. He obtained a sound education, first in the Hlukhiv School of Music which had prepared singers for court choirs, and then at the Kyiv-Mohyla Academy. From 1758 Berezovsky was a court singer in the Italian troupe of Prince Pyotr Fyodorovich (the future Peter III) and also sang in the court choir chapel directed by the well-known Ukrainian musician Marko Poltoratsky and the Italian composer Baldassare Galuppi. During this period, musicians learned music theory from the conductor of the Summer Palace Theatre, Francesco Zoppis, a representative of the Venetian school. In 1769, Berezovsky was sent to Italy where he studied at the Philharmonic Academy of Bologna with Padre Martini. In 1771, he graduated with distinction, received the highest academic title accademico compositore and was admitted as a Member of the Academy. Berezovsky’s compositions included numerous sacred choral and secular works. His opera Demofonte on a libretto by Pietro Metastasio was successfully staged in Livorno and Florence in 1773. His Sonata in C Minor for violin and harpsichord is the first extant example of a Ukrainian composer turning to instrumental composition. The most valuable creative legacy of Berezovsky is his choral music. He was the author of 18 sacred concertos (13 have been discovered in archives, others are known from references in various historical sources), 10 communion hymns and his Liturgy. The most famous choral concerto by Berezovsky is based on the text of Psalm 70 (LXX, 71 MT) Do not reject me at the time of old age (written after 1774). In it, the composer develops his work following the tradition of Baldassare Galuppi: typical four part composition, customary changes in tempo, pace and measure. However, he infuses this style with vivid national thematic features based on the intonation of Ukrainian sources: the duma, a sung epic poem originating in the sixteenth century; folk songs and sung penitential poems. The concerto is unified by a common thematic structure and exploits techniques of the Baroque period: ostinato, motifs persistently repeated in the same voice; and of the Classical era, motivated compositional elements. The choral works of Berezovsky linked two music eras, the Baroque and Classical, and two national traditions, Italian and Ukrainian. His worthy heirs and successors were his younger contemporaries. Among them, Dmytro Bortniansky must specially be noted. 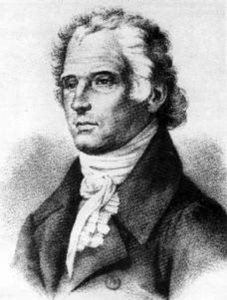 Dmytro Bortniansky (1751-1825) was also born in Hlukhiv. He was a student of the Hlukhiv School of Music and a court choir singer, where he studied with Galuppi. During the ten year period 1769 to 1779, Bortniansky mastered musical arts in schools in Italy, in Venice, Florence, Bologna, Rome and Naples. Upon his return, he became Choirmaster, and from 1801 until his death Director of the Court Chapel Choir in St. Petersburg. Like Berezovsky, Bortniansky was composer of universal stature. His creative legacy includes six operas on Italian and French libretti, instrumental works, a symphony, quintet, clavier sonatas, and a number of romances. However, the most significant part of Bortniansky’s oeuvre consists of his choral music: 35 single-choir and 10 double-choir sacred concertos, 14 Compositions of Praise, 2 Liturgies, seven four-voice and two eight-voice Cherubic Hymns, and nearly 30 other works for the church. By following the typical Classical structure and tempo relationships between movements (fast-slow-fast for compositions in three movements, and slow-fast-slow-fast for works in four movements), Bortniansky significantly expanded the structure of Ukrainian choral music. He united operatic features with features of Ukrainian psalmy, two or three voice lyrical religious songs based on texts from the Psalms of David, and kanty, a form of psalmy that emerged in the sixteenth to eighteenth centuries, old, solemn, primarily religious, non-liturgical songs, authored but spread anonymously. His works incorporate the melodic turns of Ukrainian folk songs together with instrumental intonations, and dance motifs with marching rhythms. Stepan Dehtiarevsky (Degtiarev) (1766-1813) made a significant contribution to the development of the choral concerto during the Classical period. He was a student of Giuseppe Sarti. Presently about 60 sacred choral concertos, seven cantatas, many liturgical songs by Dehtiarevsky have been discovered. He composed the first Ukrainian secular oratorio, and translated the treatise on the theory of music by V. Manfredini. Dehtiarevsky was a serf of Count Sheremetev and his creativity is usually attributed to Russian culture, but he was Ukrainian and his compositions have a pronounced Ukrainian melodic colour. The choral works of Artemy Vedel (1767-1808) are also unique. He was a graduate of the Kyiv-Mohyla Academy and student of G. Sarti. An outstanding tenor and the best church choir director of his time, Vedel raised Ukrainian Classical choral artistry to the highest level of development. His virtuosic melos is a model of the organic synthesis of Ukrainian romantic singing and Western cantabile. Vedel’s texture is at times monumental and at others subtly contrasted, strikingly showing the possibilities of the a cappella sound. His compositions distinguished themselves by their perfection of proportion. To date we know of 28 choral concertos, two Liturgies, one All Night Vigil, three cycles of Irmolai (for Christmas, Easter and dedicated to the Theotokos, Mother of God), and 20 other choral compositions. But this is far from all known about Vedel. His creative destiny was tragic. After brilliant success and recognition, in 1799, Vedel was arrested, most likely for political reasons, and placed in an asylum for the insane, where he spent the last years of his life. The creative legacy of Vedel was officially banned in the Russian Empire throughout the nineteenth century. His works could not be performed in churches nor published. Notwithstanding the ban, Vedel’s works were actively distributed in handwritten copies and performed by parish choirs, and then became a significant part of Ukrainian choral culture. Presently, research on the creative work of Vedel and Ukrainian Classical choral music continues. The nineteenth century introduced Romanticism into the history of world culture. Many national schools of composition emerged in European music. The principal artistic interest became the unique inner world of Man. Ukrainian music was no exception. However, since the territory and people of Ukraine were divided at that time between the Austrian and Russian empires, formation of a national school of composition was complicated. In Halychyna, which was part of the Austrian Empire, the Peremyshl (Przemyśl) School emerged in the early Romantic period. Among its most famous representatives were Mykhailo Verbytsky (1815-1870) and Ivan Lavrivsky (1822-1873). Both composers were from families of priests and were educated in Peremyshl. Both later served as priests. In the works of these two composers who focused on choral music, reliance on the tradition of Bortniansky is evident. 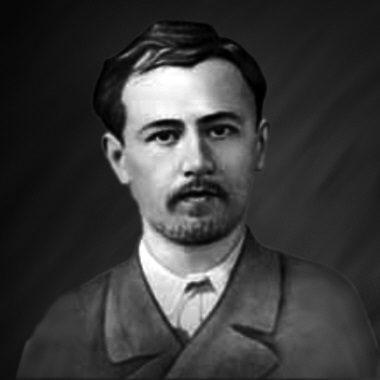 M. Verbytsky composed nearly forty pieces for the church, and thirty secular works for choirs, among them the Ukrainian National Anthem, based on a patriotic poem by Pavlo Chubynsky (1863). The choral works of the Peremyshl School had a significant influence on later Romantic era choral composers in Halychyna, Victor Matiuk, Anatole Vakhnianyn, Isidor Vorobkevich, Ostap Nyzhankivsky, Vasyl Barvinsky, Stanislav Lyudkevych, Anatoly Kos-Anatolsky, and Yevhen Kozak. A mature Ukrainian national school of composition emerged in central-eastern Ukraine, linked to the name of Mykola Lysenko (1842-1912), a graduate of the University of Kyiv and the Leipzig Conservatory. All professional genres of European music of the modern era are represented in the works of Lysenko. He was the author of 13 operas, three cantatas, a number of symphonic and instrumental chamber works, many piano compositions and vocal solos, numerous choral works on secular and sacred texts. A separate genre of Lysenko’s creativity is the arrangement of Ukrainian folk songs. There are over 600 such works. The choral works by Lysenko are primarily secular. They are compositions of different genres based on texts by Taras Shevchenko and other Ukrainian poets. The religious choral output of Lysenko is comparatively small. In addition to the famous Prayer for Ukraine, which became a national church hymn of Ukraine, there is a Cherubic Hymn, a Sacred Concerto, and sacred kants. A new style of Ukrainian sacred scared choral music of the nineteenth century brilliantly emerges in these works. It expresses the distinct national identity of Ukrainian melody combined with European Romantic styling. Works in this style became models for the Romantic composers who continued the choral work of Lysenko, Kyrylo Stetsenko, Mykola Leontovych, Yakiv Yatsynevych and Olexander Koshetz. These artists have several features in common. First, they all had extensive practical experience with choirs ‘from the inside’, and a thorough knowledge of their resources and capabilities. Secondly, each one was constantly collecting and arranging Ukrainian folk songs, an activity that influenced their particular musical styles. Thirdly, they all paid great attention to the music of the Orthodox Church and showed creativity in genres associated with its rituals (the Liturgy, All Night Vigil, Cherubic Hymn). Fourthly, they have stylistic features in common: preference for cantabile and melodic principles; focus on the texture of a natural full choral sound; exquisite attention to the intoned Word; and the creation of large compositions based on the Romantic principle of cyclic repetition of miniature elements. 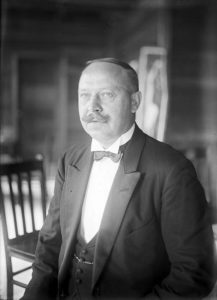 One of the most brilliant successors of Lysenko in the choral field is Kyrylo Stetsenko (1882-1922). He came from the Kyiv province (now the Cherkassy Oblast), was educated in a theological seminary, participated in the Kyiv student choir organized by Lysenko, and from 1903 until his exile in 1907, studied at the Mykola Lysenko Music and Drama School. While studying music, Stetsenko also taught music and singing in Kyiv educational institutions, collected folk music while traveling across Ukraine, organized a National Choir and toured with it performing concerts. The artistic heritage of Stetsenko, particularly in the genre of sacred choral works (three Liturgies, an All Night Vigil, a Requiem, Choral for a Wedding, Easter Matins, over 50 separate sacred works), is inadequately researched to date. However, it can be authoritatively argued that the sacred works of Stetsenko are the epitome of Ukrainian Romantic period church music, whose foundation lies in the Ukrainian folk song. Mykola Leontovych (1877-1921) is one of the best known Ukrainian composers of the twentieth century. His famous Shchedryk (Carol of the Bells) may still be heard at Christmas in many countries. Leontovich was born in Podillia, in southwest Ukraine. He obtained his music education in the Kamianets-Podilskyi Theological Seminary but did not become a priest, instead choosing to be a teacher of music and singing. Seeking professional development, Leontovich worked intensively with many choirs in Podillia schools, collected and arranged Ukrainian folk songs, passed his exam in church choir direction at the Court Chapel Choir in St. Petersburg, and perfected his technique in counterpoint through private lessons with the widely recognised musician, Professor Boleslav Yavorsky of the Kyiv Conservatory. The foundation of Leontovych’s creative heritage is his choral work. 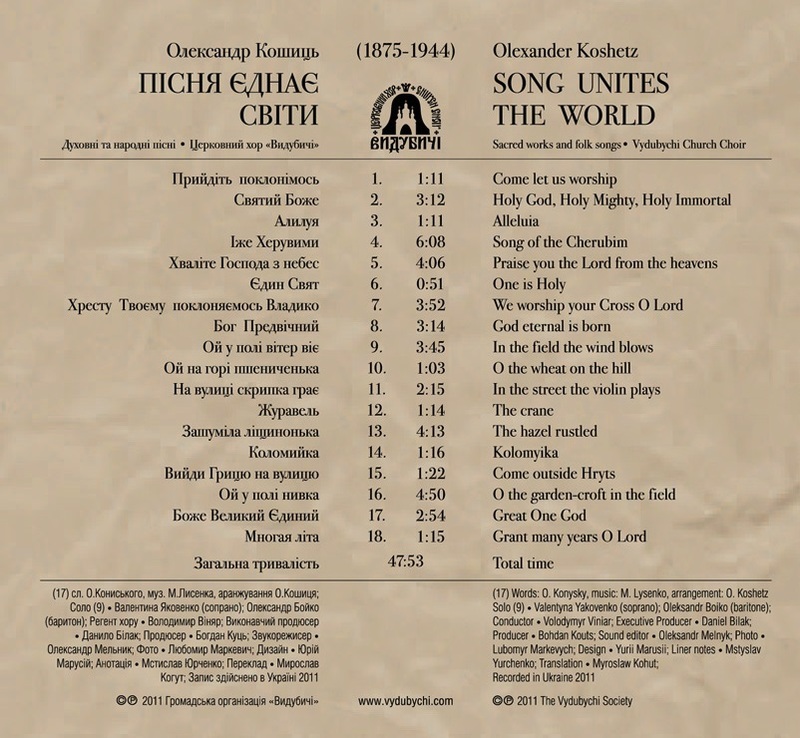 It comprises more than 50 compositions for the Ukrainian Orthodox Church (including a Liturgy); nearly 150 arrangements of folk songs, essentially original choral miniatures in which the folk melody only provides the initial idea; and four choral poems on texts of Ukrainian poets. Until his tragic assassination by an agent of the Soviet political police (Cheka), Leontovych worked on the opera For the Water Nymph’s Easter Sunday (completed in late 1960s by Myroslav Skoryk). Yakiv Yatsenevych (1869-1945) was a faithful follower of Lysenko. He was a talented composer, choral director and collector of folklore. The life and work of Yatsynevych up to the Bolshevik Revolution in 1917 was associated with the church. 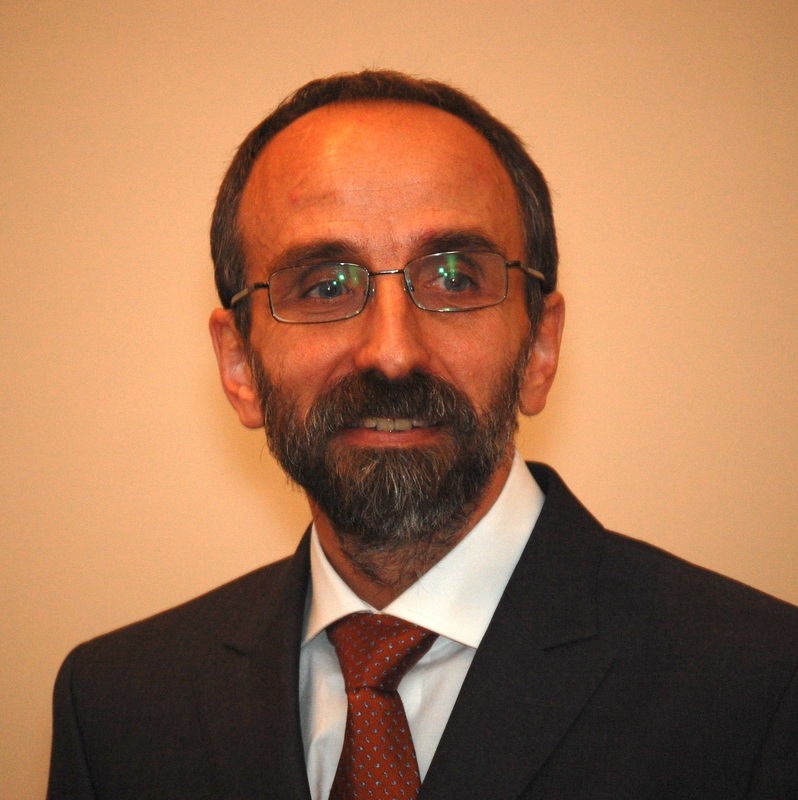 He graduated from the Sofia Theological School and Kyiv Theological Academy and was Choral Director at St. Michael’s Golden-Domed Cathedral in Kyiv. Yatsynevych penned a Liturgy, a cycle of Wedding Songs, and individual choral pieces. After the revolution, the outstanding creative figure of Yatsynevych was undesirable for the new government, and the composer was forced to leave Ukraine. He was exiled to the Caucasus, where he ended his days as a watchman in a Soviet collective farm garden. 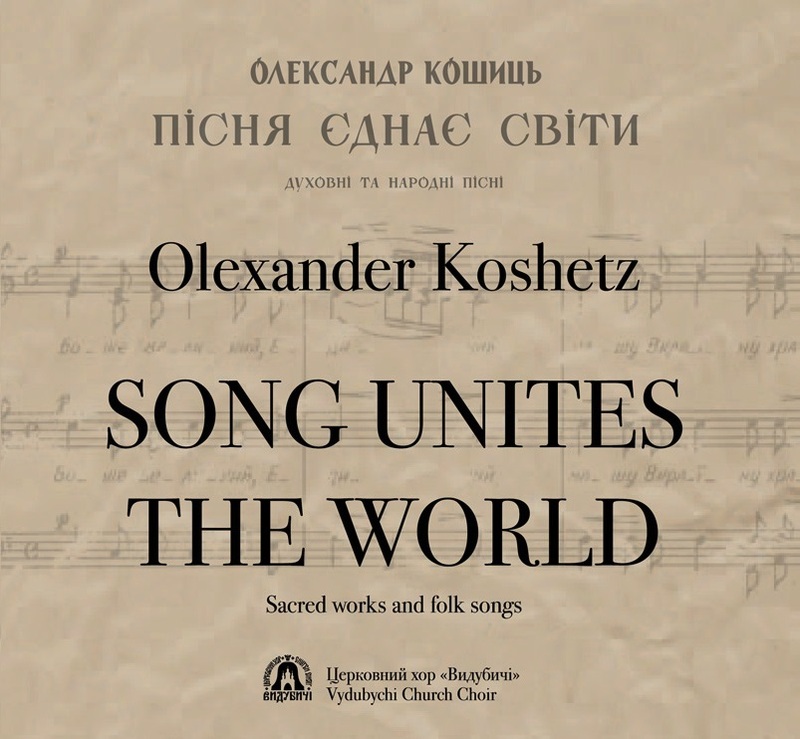 Olexander Koshetz (1875-1944) made a significant contribution to Romantic period Ukrainian choral culture. A graduate of the Kyiv Theological Academy and Mykola Lysenko Institute of Music, Koshetz was an outstanding choral conductor and unique choral composer. In the Soviet period, his name and works were taboo in Ukraine. 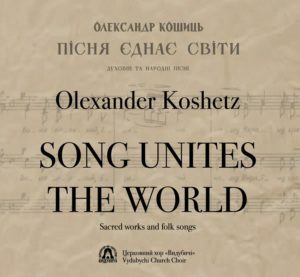 After the revolution, Koshetz found himself outside the USSR, where he created his choral compositions, an immense number of arrangements of folk songs, five Liturgies, and nearly one hundred individual sacred works. After the Bolshevik Revolution in 1917 and civil war, the holdomor – murderous famines organised by the Communists – and the implementation of strict ideological dictates, the state of choral culture in Ukraine became distorted. No professional composer could work in the traditional national genre of church music. The state encouraged either ideologically ‘correct’ pieces on Party and Soviet themes and mass revolutionary songs or primitive arrangements of folk songs in the spirit of democratic Russian art of the 1860s, or arrangements of folk songs suitable for amateur groups. The true revival of Ukrainian choral art came with the period of independence. The period of stagnation in choral music, which lasted more than seventy years, the lifetime of Soviet totalitarianism, ended with Ukraine gaining independence. But the development of national choral music did not come to a complete end in this period. Rather, it became distorted, slipping into arranging folk songs and ‘folklorizing’ newly created ‘people’s choirs’ (Lev Revutsky, Guri Veriovka, Mykhailo Verykivsky, Pylyp Kositsky, Konstantin Dankevich). The tradition of high professionalism continued, nevertheless, in the choral artistry of Boris Lyatoshynsky (1894-1968). Unable to compose in the sacred genre, Lyatoshynsky did not go the way of ideologically compromised composition. His choral compositions are devoid of links to ‘relevant’ Soviet political themes and politically acceptable choral miniatures about landscapes and philosophical ideas. The most important contemporary Ukrainian composers passed through the Liatoshynsky school of composition (Silvestrov, Dychko, Stankovych). Since 1991, their choral works have increasingly turned to sacred themes and traditional religious genres. Arguably, today there are no professional Ukrainian composers who do not write religious music. This includes young composers who follow the beaten paths of teachers and senior colleagues, and the older generation of composers from the period of totalitarianism, who were tempered by their opposition to the communist system. The most famous of the older generation composers, Valentin Silvestrov, Yevhen Stankovich, Myroslav Skoryk, Lesia Dychko entered Ukrainian culture in the 1960s-70s. Each of them came to choral composition in his or her own way, each has his or her own style and followers, but there are features that unite them: a desire to combine an aspect of national tradition with the latest compositional techniques, and a desire to present their own interpretation of sacred texts. Thus, for Lesia Dychko (b. 1939) the natural intonational base is Ukrainian folklore and music of the Baroque era. Her choral music style incorporates impressive diversity: choral opera, cantatas, choral concertos, poems. After nearly a century of communist ban on church music, Dychko was the first modern Ukrainian composer to compose a liturgy (her works include three liturgies). The choral works of Skoryk (b. 1938), which appeared in the last decade, are dominated by sacred genres (Liturgy, Sacred Choral Concerto, Psalmy of David). One hears an orientation to a traditional polychoral style and to the traditions of church canons. The choral compositions on sacred texts by Valentyn Sylvestrov (b. 1937) – there are over 50 – emphasise treatment of the choir as an instrument, and focus on the qualities of sound – timbre, texture, articulation, dynamics, movement and tonal colour to create form. In liturgical chants, the All Night Vigil, the cycle Psalms and Prayers, sacred songs and the Psalms of David, Sylvestrov uses Romantic melodic turns to build his own sound space, meditative, lyrical and contemplative, multidimensional. Similar features characterise his choral works on poems by Taras Shevchenko. The choral works of Eugene Stankovich (b. 1942) turn to religious texts and genres (Liturgy of St. John Chrysostom, Psalms God is my Shepherd, To Thee, O Lord, I cry, How lovely are Thy dwelling places O Lord of Hosts, the concerto O Lord, our Master). They also turn to Ukrainian classics: Taras Shevchenko texts (the choral Symphony-Diptych), and to arrangements of folk songs. For a standard of excellence he chooses the choral works of Bach and Ukrainian composers of the Classical era, creating dark coloured, dynamic compositions. Creative choral activity in contemporary Ukraine is very significant. Victor Stepurko (b. 1952), Mykhailo Shukh (b. 1952), Volodymyr Zubitsky (b. 1953), Victor Kaminsky (b. 1953), Anna Havrylets (b. 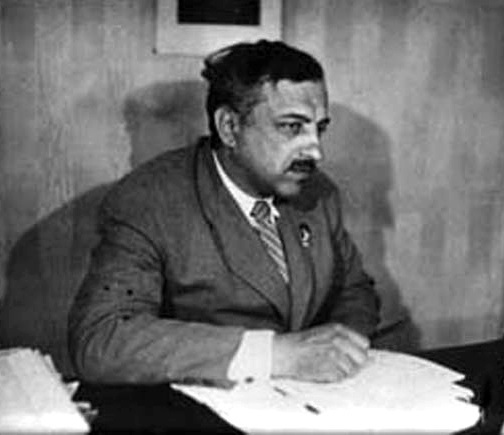 1958), Volodymyr Runchak (b. 1960), Victoria Poleva (b. 1962), Olexandr Kozarenko (b. 1963) and their younger colleagues work productively in choral genres, secular and sacred, monumental and miniature, creating original compositions and continuing the millennia-old tradition of Ukrainian choral art. The choral culture of Ukraine is not limited to compositional creativity. Its important components of choral education, choral singing and choral festivals also have magnificent and deep traditions worthy of a separate forthcoming article. The concept of intonational experience is generalised. The monograph develops the idea that the sound context of geography and ecology in a region shape the intonational experience of the language and music of people belonging there. Thus, those living by the sea with its constant ebb and flow of tides and crashing waves have a different sound context than those living in woodlands with their sounds of wind in the trees and bird songs, or in mountains with their echoes, and plains with their anechoic character. This context shapes how people vocalise, the pitch and cadence of their speech, and how they express themselves musically. And that leads to a unique musical expression for regions and nationalities.